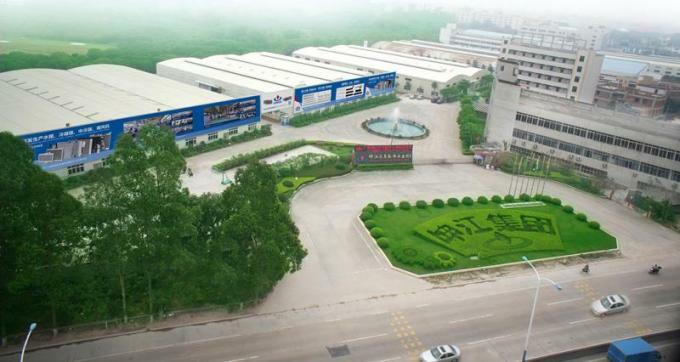 Founded in 2003, located in Guangzhou Conghua Economic Development Zone , Guangzhou Kinga Auto Parts Industry Manufacture Co., Ltd. covers a floor area of 86,000 square meters. 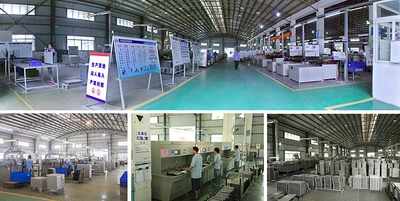 Equipped with a whole set of professional production line for the vehicle engine radiator cooling system, the workshop manufactures over2000 various of aluminum radiators for different types of vehicles and engineering machines. Equipped with a whole set of professional production line for the vehicle A/C cooling system, the workshop manufactures various of aluminum condensers for different types of vehicles and engineering machines. 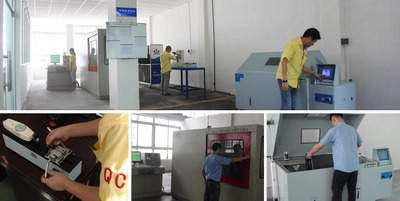 KINGA has set up its own laboratory with professional test equipment. 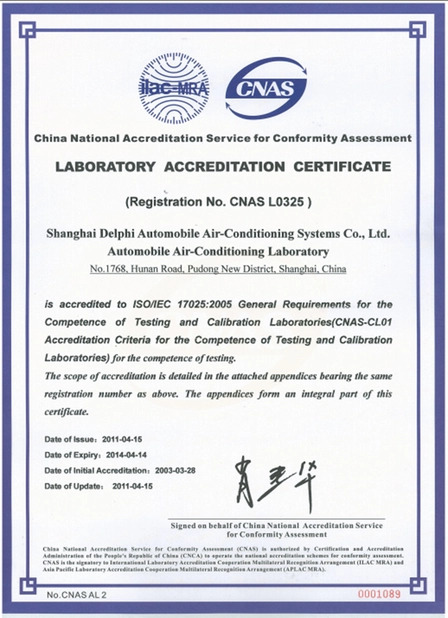 The lab conducts tests including but not limited to salt spray test, sealing performance test, vibration test on the products to continuously improve and perfect the product performance and quality. KINGA R&D department devotes itself into developing and innovating the new products responding to the market demands. 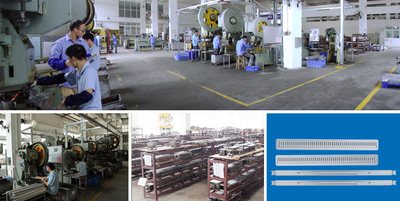 With the advanced automatic high-frequency welded pipe production line, tubes of various sizes can be processed here including widths of 16mm, 18mm, 22mm, 26mm and 32mm. All the production procedures, including material feeding, half molding, welding, molding, detecting and cutting are done automatically in the production line. 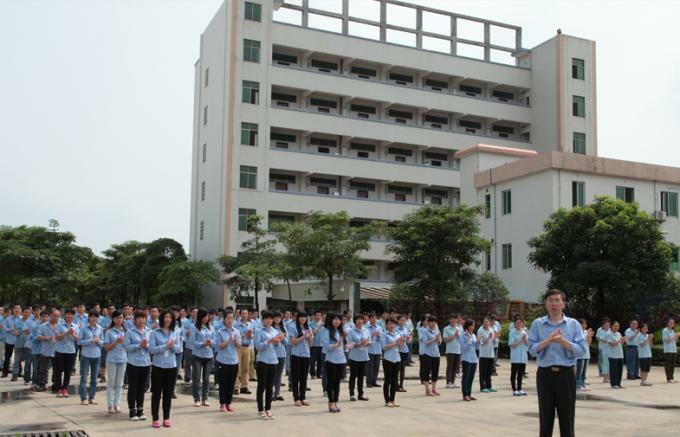 The daily production capacity can reach up to 4 tons. 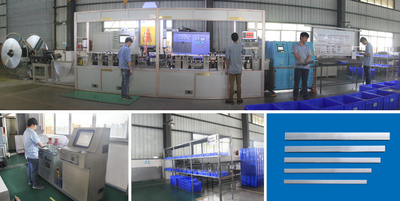 Meanwhile, a strict quality inspection and the burst pressure test is applied to guarantee the quality of the tubes produced. 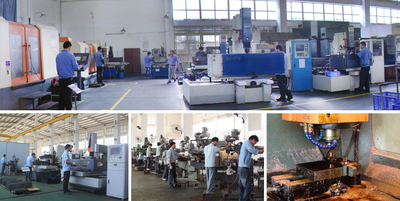 Equipped with nearly 30 machines for stamping processing, including stamping machines, hydraulic presses, cutting shears and others , the workshop can produce stretching stamping parts, large stamping parts and fine stamping parts, etc. The processing center engages in the manufacturing of metal stamping dies, injection molds, die casting molds and fixtures. 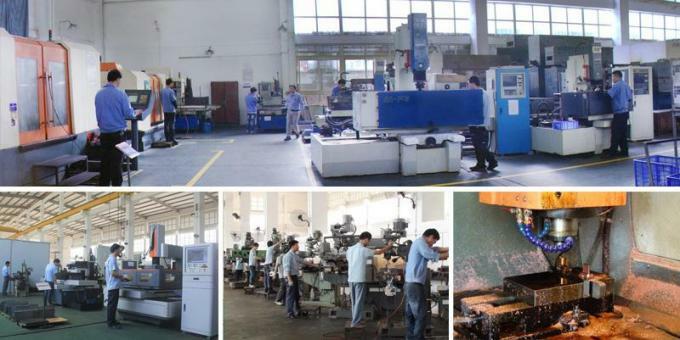 It has 3 CNC vertical machining centers and over 40 various of machines and equipment demanded for processing the molds including computer gongs, milling machine, grinding machines, wire cutting machines, EDM and milling rockers, etc.. A perfect CAD / CAM network integration system has been built for the process designing and the mold processing, which realized the 2D and 3D CAD design of the molds. 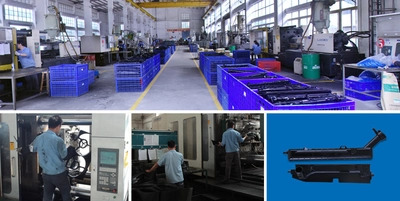 The injection molding workshop injects the plastic auto parts, such as front and rear protection bars, grilles, interior parts, automotive lighting plastic parts and so on.The workshop is equipped with various types of injection machines ranging from 80T to 2000T and capable of injection different types of engineering plastics, like PC, PMMA, PA, PE, PVC, ABS, AS, PP,etc.. Your waiting time will be shortened to the minimum with KINGA prompt service. The key is that we utilize the VNA Narrow Aisle Racking System,a important part of the rapid development of the modern logistics system, in our warehouses, which is characterized by its advantages of reducing the storage space, the labor intensity and the backlog, eliminating the errors, improving the automation level and management of the warehouse, enhancing the efficiency of the logistics and the company social efficiency and so on. 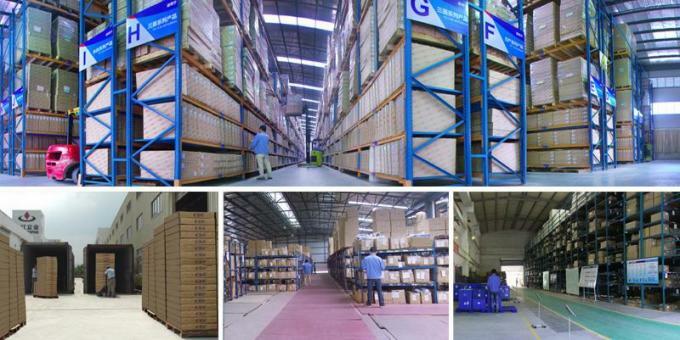 We guarantee you the proper material storage, the shortest preparation and the sufficient safety stock. Thus, you are assured of receiving a complete collection of the auto parts in a shortest deliver time. In 1993,KINGA enterprise was established and began radiator business. In 1997,General Manager, Mr. Liu HongKun Has Been Elected As A Member Of The Committee Of CPPCC Of Tianhe District, Guangzhou City. 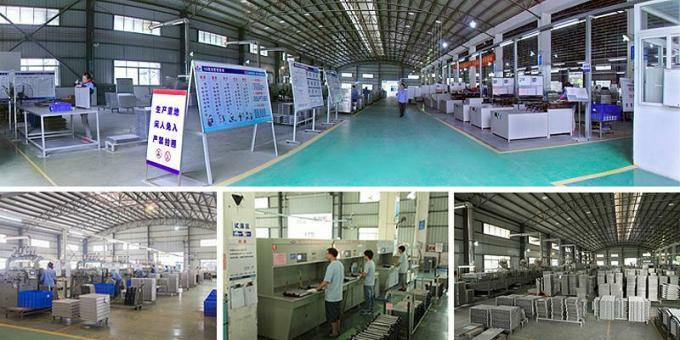 In 2003,GUANGZHOU KINGA AUTOPARTS INDUSTRY MANUFACTURER CO.LTD was founded. In 2004, Mr.Liu Hongkun Was Elected As A Member Of the 19th Executive Committee Of Guangdong Federation Of Industry And Commerce. 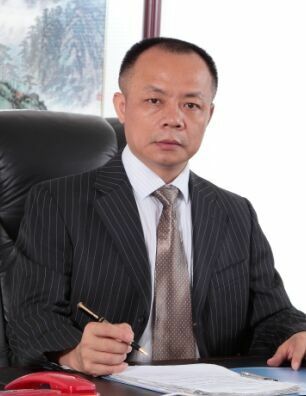 In 2009, Mr.Liu Hongkun was Elected As Chairman Of Guangdong Auto Parts Accessories Association (gapaa) agagin. 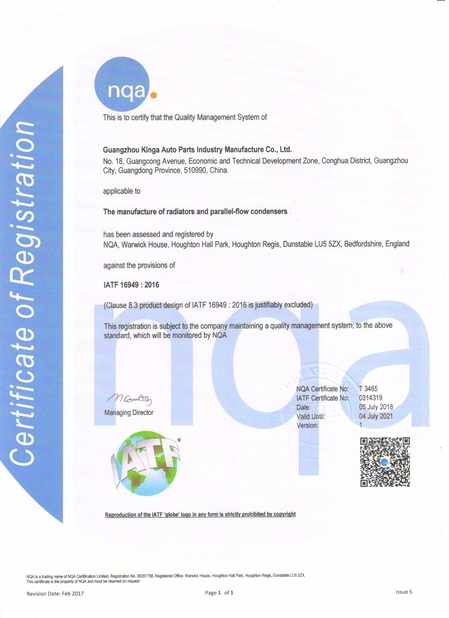 In 2011,GUANGZHOU KINGA AUTOPARTS INDUSTRY MANUFACTURER CO.LTD got the TS16949 Certificate Of Registration. From 2012 to present day, Kinga own 12 patents and 3 intellectual properties, while 2 new invention applications have been accepted. In 2013, We researched and developed the “AE Project“ which is an improvement of Vehicle Engine Cooling System Device and help energy saving and environmental protection. It was successfully assembled and has been used in the car. In 2013, GUANGZHOU KINGA AUTOPARTS INDUSTRY MANUFACTURER CO.LTD registered the “VVO” and “FDFD” trademark in domestic. In the same year, they are successfully registered as international trademark ,"FDFD" trademark, was protected by 3 countries (USA, Germany and Japan). 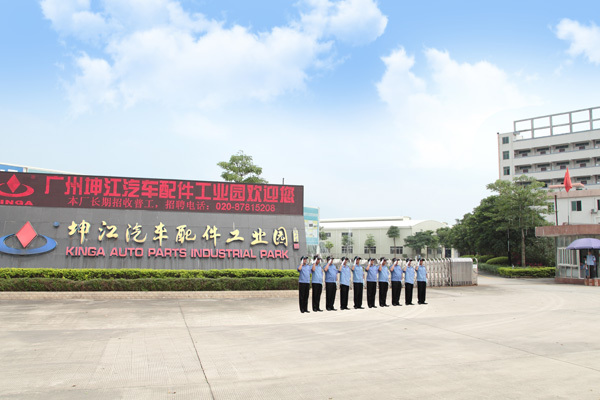 In 2014, GUANGZHOU KINGA AUTOPARTS INDUSTRY MANUFACTURER CO.LTD was awarded as“the Best Brand in Auto Parts Industry of Guangdong Province ” and“the Most Influential Auto Parts Manufacturer of Guangdong Province”. 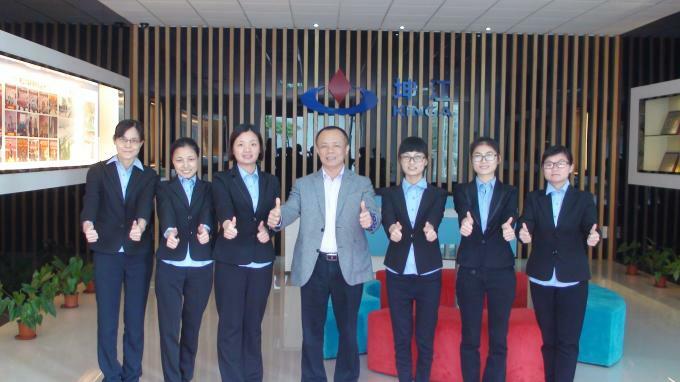 In 2015, GUANGZHOU KINGA AUTOPARTS INDUSTRY MANUFACTURER CO.LTD was awarded as“Guangzhou R & D Institutions Construction Enterprises”by Guangzhou Science and Technology Innovation Committee. 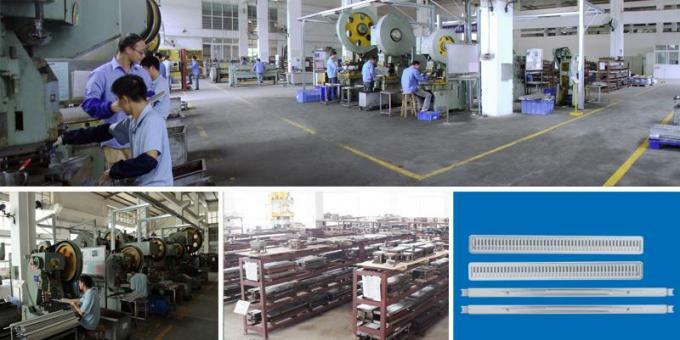 In 2016, our “High frequency welding aluminum alloy pipe production line”was successfully put into trail production. In 2016, GUANGZHOU KINGA AUTOPARTS INDUSTRY MANUFACTURER CO.LTD was awarded as “National High Technical Enterprise“ by Department of Science and Technology of Guangdong Province. Covering most of AUTO PARTS industry products, GUANGZHOU KINGA AUTO PARTS INDUSTRY MANUFACTURE CO.LTD is specialized in manufacturing and exporting more than 5000 kinds of AUTO RADIATORS & CONDENSERS. 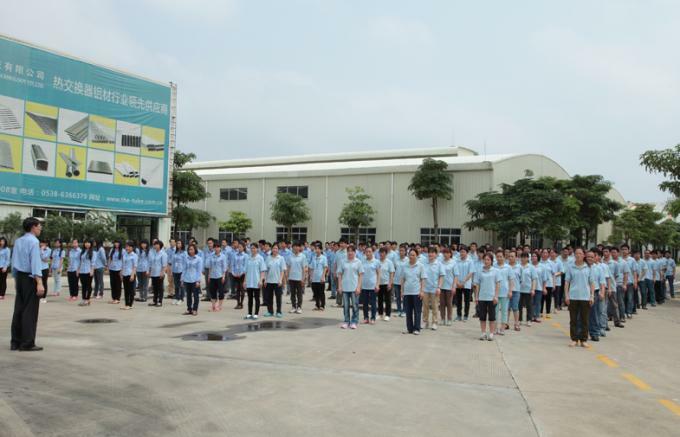 More than 20 years experience, about 400 workers, 50,000 square meters workshop, one hour reach Guangzhou port, this is how KINGA keep good quality and reliable cooperation for global valued customers. 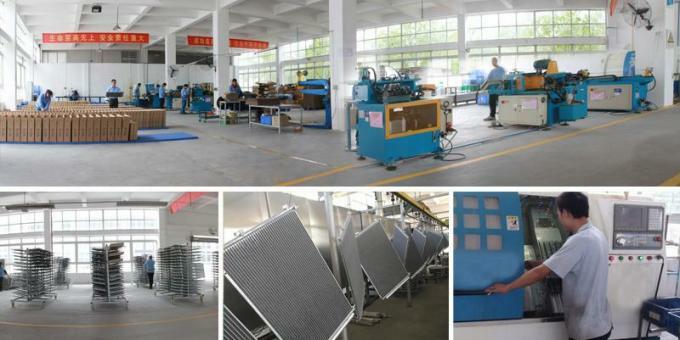 Our radiators & condenser production is up to 120,000 pcs per month, all are 100% tested before loading. Kinga also keep investing and developing new radiators & condenser every month with strict quality system to keep each radiator standardized. KINGA always proud of offering the best quality products and service for Customers! including more than 50 technical engineers and 3 senior engineers.